Conveniently located mid-way between Northampton and Amherst on Route 9. We offer quality accommodations, friendly efficient service, comfortable country like surroundings...all at a very affordable price. We are the perfect Choice for business or leisure travelers. Included in our room rates: a deluxe continental breakfast featuring fresh, hot Belgian waffles, indoor heated pool, fitness center and guest laundry facilities. We also offer a business center equipped with internet access, copying services, and a spacious work-area. In addition to the business center, we offer Free High Speed Wired and Wireless Internet Access to all guests in the rooms. Heated Indoor Pool open from 7am - 9pm daily. Hotel accepts small dogs in a specific area of the hotel. There is a non-refundable nightly fee. Our complimentary hot breakfast buffet includes fresh Belgian waffles, a rotating schedule of hot entrees, assorted breakfast breads and sweets, cereals, yogurts, milk, juices, coffees and teas. 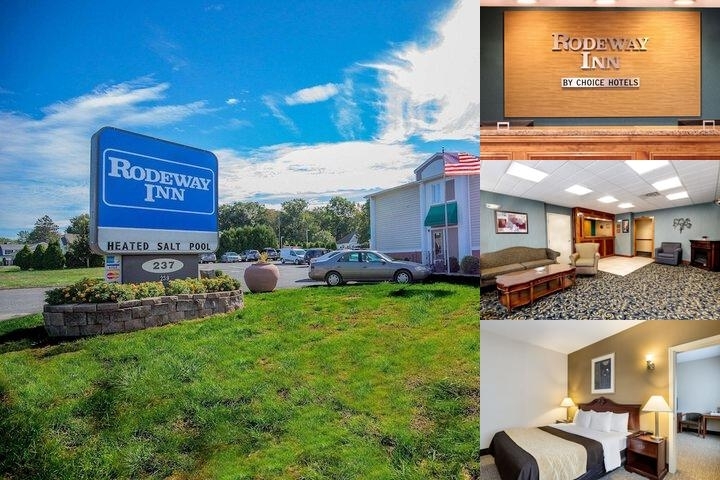 Below are the meeting, banquet, conference and event spaces at Rodeway Inn Hadley Amherst. Feel free to use the Rodeway Inn Hadley Amherst meeting space capacities chart below to help in your event planning. Hotel Planner specializes in Hadley event planning for sleeping rooms and meeting space for corporate events, weddings, parties, conventions, negotiated rates and trade shows. The meeting room has a separate entrance from the hotel. 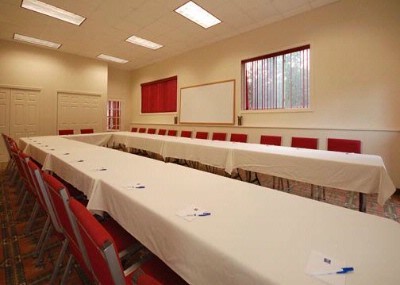 Meeting space is available from 7:00am to 11:00pm. Function may not continue past 11:00pm. Guests are welcome to bring in their own food & beverage; or we can recommend local caterers. 22 x 20 x 10 Ft.
18 x 35 x 0 M.